Mid Sussex District Council is made up of 54 councillors. 12 of these councillors are from Burgess Hill. 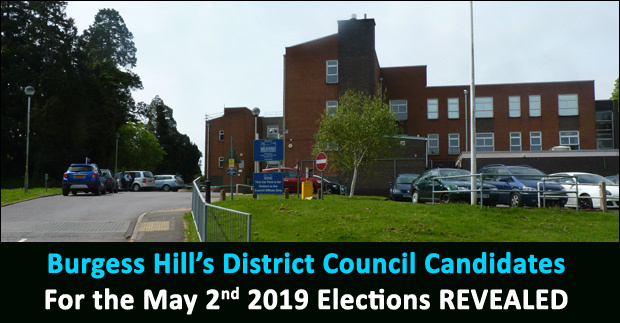 2 candidates are elected from each of the six electoral wards in Burgess Hill. 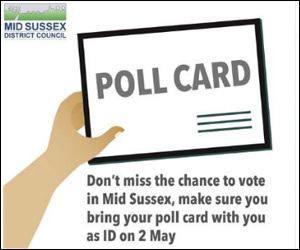 The Mid Sussex District Council election takes place on Thursday May 2nd. You can vote for two candidates in your ward. News on current councillors not seeking re-election will appear here in due course. Over the next few weeks we hope to bring you bios of many of the candidates standing in the election in order to aid your decision making. The elections are coming! Let people know about their local candidates. Let's hope for better representation in May thank you very much!